The last film of J.K. Rowling's saga, Harry Potter and the Deathly Hallows: Part 2 finally comes out at midnight, and it marks the end of an epic journey. An epic nerd journey. Quidditch players worldwide loved the trademark glasses that Harry rocked, while we pointed and laughed. 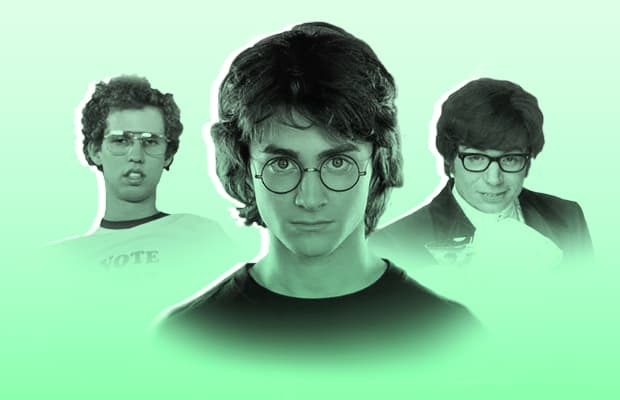 But it seems like girls find geeky round frames to be pretty stylish, so in Mr.Potter's honor, here's an homage to all The 15 Most Memorable Glasses from the silver screen.